We all have faced the situation where we have nasal congestion, running nose, fevers, and body aches. Also, during that time we face scratchy nose, our nasal cavities quiver, an agonizing soreness dwells in between our temple and in our mandible. And all of these when combined irritates us a lot. It makes us feel miserable. This basically happens when the season is changing. With every sneeze, we are doomed with more and more cold which then turns into blowing nose. It’s not that we don’t take care of ourselves to stay untouched by the cold but still somehow cold makes its way and then it gets hard for us to stave off. 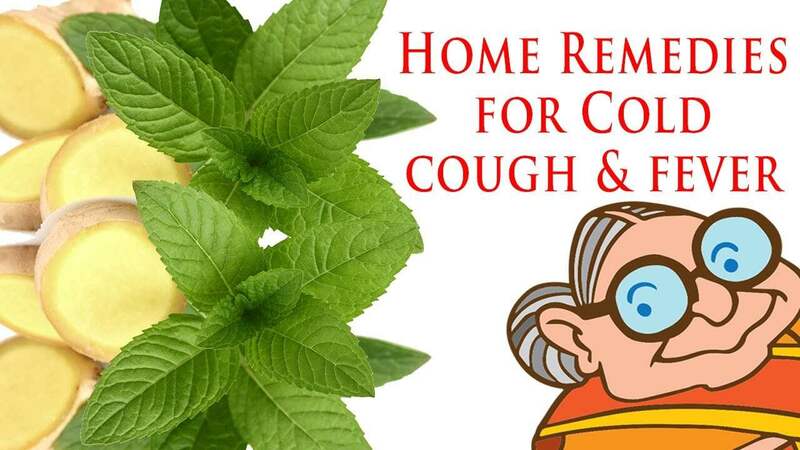 Luckily, there are some home remedies for cold that can help us to feel better in the situation of nasal congestion, body aches and many other effects of cold. These home remedies can alleviate the effects of cold and can help us to get normal. Stay warm: When you catch cold and fever, then it’s advisable to stay warm. Muffle up and snuggle under your blankets. This will avert your situation from worsening. The more you are exposed to cold, you get more affected. Intake of fluids: When you have cold and fever or flu, you must increase the intake of fluids. Drink plenty of water. It will be better if you drink warm water. As it will help you in recovering from cold. Mustard Oil: We all have heard about the benefits of mustard oil. It is mostly used as cooking oil and is really very beneficial to our skin. Most of us don’t know mustard oil is very helpful in curing cold and running nose. All you need to do is: take few drops of mustard oil and put it at your nasal cavity and just inhale it. Yes!!! Inhale it. At first, you will have a little bit of burning sensation but it will for sure cure your nasal congestion and running nose. Also, rub the oil on your chest and around the neck. Rubbing and massaging with mustard oil can give relief in case of body ache. Take some water in a utensil. Bend your head over the utensil and cover your head with a towel. Breathe the steam coming out of the utensil. Make sure you don’t burn your nose. Warm baths: Fever and bathing don’t go hand in hand. But you can sometimes cure your fever and cold by taking warm sponge baths. This will not only cure your fever and cold but will also reduce your body aches. Warm water soothes aches. Gargle: Gargling can help you when you have a sore and scratchy throat. It will also help you in running nose, nasal congestion. It helps to soften up the throat and gives you relief. For this take a glass of warm water and add some salt. And then you can gargle it. Doing this four to five times a day can cure your cold and flu overnight. Soup: Soup can do magic when you have a severe cold. It will not only give you strength but will increase your immunity to fight against the cold and fever. Drinking steaming soup can also open your nasal cavity and will hence give you relief. Ginger tea: The inflamed lining of the nasal passage and throat is very obvious when cold affects us. Hot liquids can be a savior in such cases. Drinking a hot cup of ginger tea can help you in such situations. Also, it will cure your headache and you will feel relieved from the running nose. Garlic: Garlic is widely used in Indian Kitchen due to its anti-oxidant and anti-bacterial property. Take garlic and crush it. You can eat it this way. Or you can mince it and put it in warm mustard oil till the garlic turns golden brown. After that, you can chew it. This will help you a lot. You can rub that minced garlic and oil all over your body to get rid of body aches and headaches. Vitamin C: Vitamin c is considered to cure a cold. Therefore, it will be good if you increase the intake of vitamin c in your diet. Never let the vicious cold get the best of you. Take charge with these simple do-it-yourself remedies and get rid of your stuffy nose and scratchy throat.